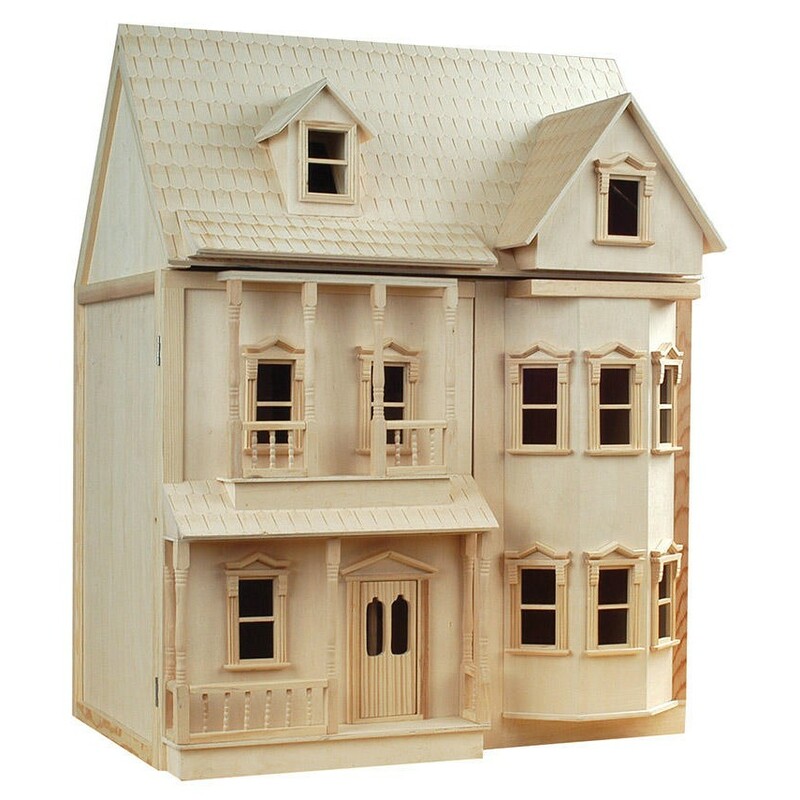 24" x 21" x 15"
A two storey house with hinged roof attic and split front opening veranda and bay window. Constructed of 3mm Plywood. 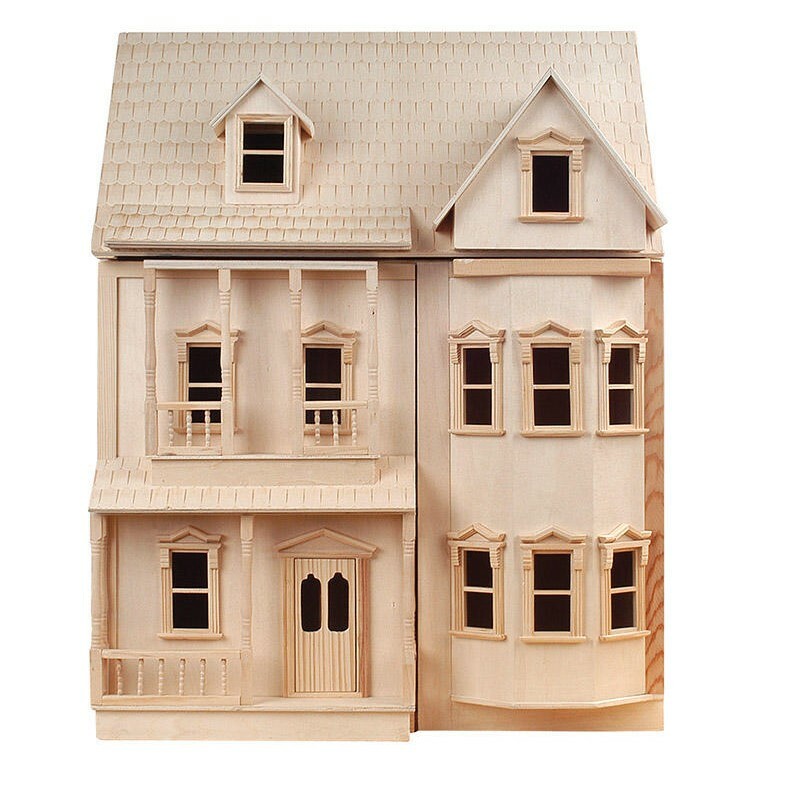 Although a 1/12th Scale house, the Ashburton does have smaller features which means not all 1/12th scale dolls, furniture and accessories are suitable. We would advise carefully measuring your room space when ordering furniture and accessories for the rooms. 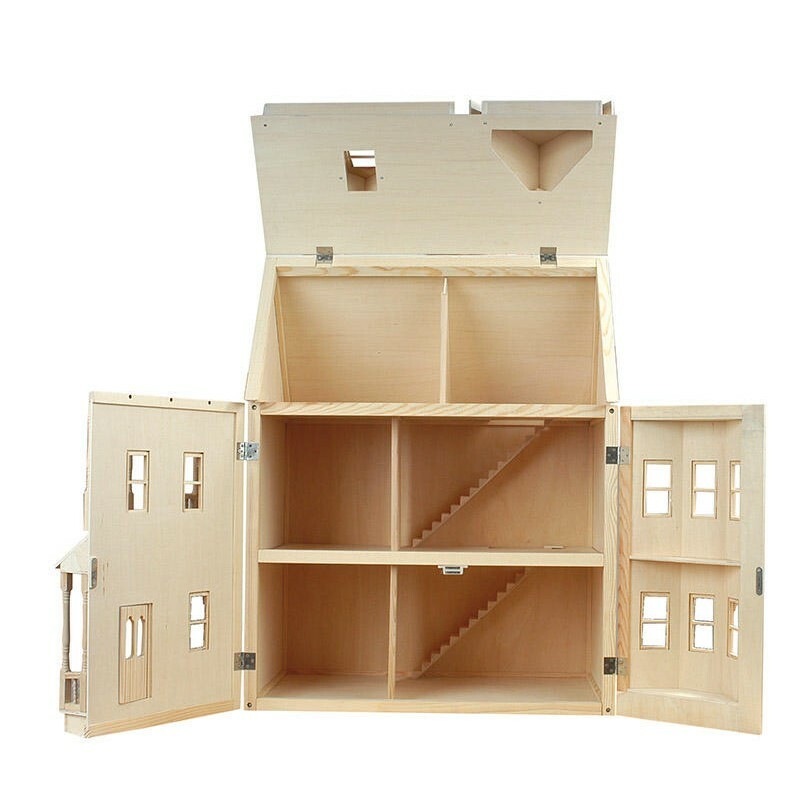 This house is suitable for a more experienced dolls' house collector as bespoke fixings and fitting may need to be made.